When an organisation has many hundreds or thousands of users, managing end user locker allocations is never a job that Facilities Management wants to take on. 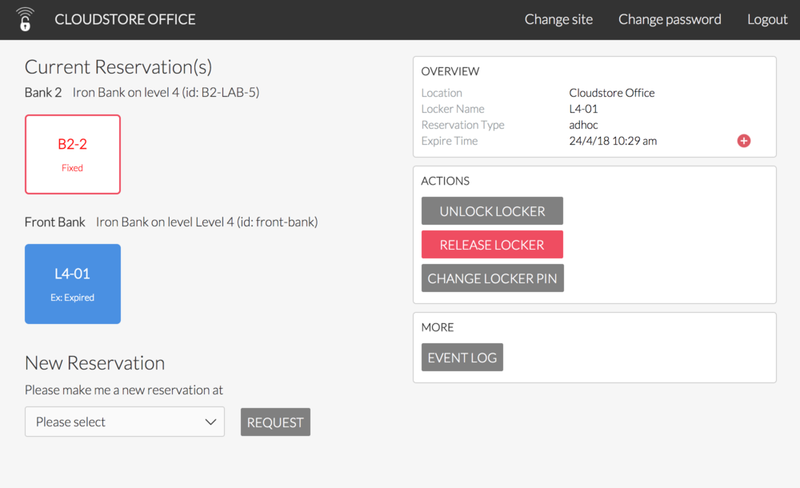 Smartalock has always included the ability for end users to self manage their own locker, but now with my.smartalock.com it becomes even easier for end users to allocate a locker to themselves, remotely open, release or share with other users, without needing to involve facilities management, property or IT. With a common login for the Smartalock App, my.smartalock.com seamlessly integrates with the existing end user Apps and can also be integrated with clients desktop cloud single sign on systems such as Okta or similar. Facilities can then focus on what is more important to them - focusing on the big picture to improve productivity. The Smartalock analytics reporting (included free with each system) provides detailed utilisation rates by locker bank, top 10 and bottom 10 users and other detailed reports that help optimise current floorspace and future planning.